From whole wheat, oats, and rice to farro, barley, and quinoa, no grain is left unturned in this compendium of more than 75 healthful recipes. There's a tasty dish for every meal of the day: Quick Skillet Flatbreads made with millet or teff for breakfast, or a hearty dinner entre of lamb and rye berries braised in red wine. Even desserts get the whole-grain touch with such sweets as Chocolate-Chunk Buckwheat Cookies. A source list helps find the more unusual grains and a glossary describes each one in detail. 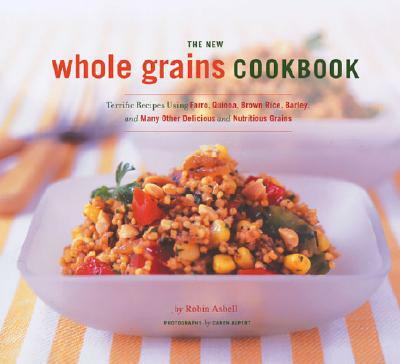 The New Whole Grains Cookbook makes it easy to eat your grains and love them, too. Chef, food writer, and cooking teacher Robin Asbell specializes in natural foods and has written articles for Vegetarian Times. Caren Alpert is a San Francisco-based photographer.